You don’t need to be an expert professional in the building inspection field to recognise that pools of water in the subfloor or puddles on your lawn indicate that there is a drainage problem on your property. However, there are some drainage problems that aren’t so obvious. Here we take a look at some of the more subtle signs that people tend to overlook but which can be easily identified during a building inspection. We at Inspect It First always recommend to homebuyers or sellers that they should conduct a detailed building and pest inspection, before deciding to purchase or sell a property. If you are buying a house, it is important that you have a clear view of its structural condition. In addition to a detailed inspection of the home structure, it is also important to get inspections done on all the outdoor features of the property such as an outdoor kitchen, a pool house, pergolas, gazebos etc. This saves you a significant amount of stress, effort as well as expense in the long term. Even if you choose to buy a property that has some minor problems, you can use that as leverage to reduce the buying price of the property. This may seem like a very small problem but the fact is that damaged gutters and downspouts can cause a number of structural issues as well. If the gutters are leaking water, it can start flowing into various areas of your home or even start pooling near the foundation of the structure. Some of the common signs of problems with damaged gutters include peeling paint on the exterior walls, damaged or warped siding, and ugly streaks on the exteriors of the gutters or the exterior wall cladding. Both all of these are very major problems. 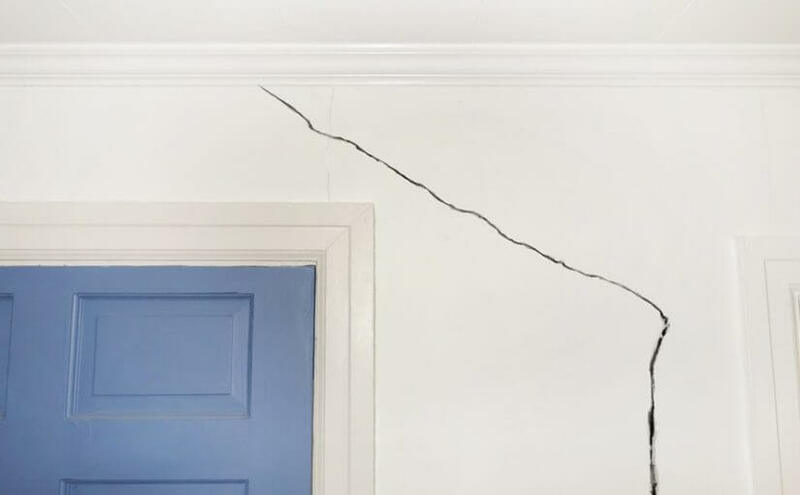 While small cracks may show up on internal or external walls, many of these settle over time. However, if there is excess moisture in the ground around the foundation, the water pressure can cause widening of the cracks. Cracks that are wider than 3mm can prove to be a major problem and require attention. These problems aren’t always evident to the untrained eye. Sometimes the moisture can also impact the foundation and affect the integrity of the strip footings or concrete pads. Water stains at the stumps or efflorescence one brick walls are an indication of moisture and water-related problems. This is often caused when the ground level in the exterior areas of the home is higher than the ground level under the foundation of the house. The surface water tries to find a natural low point which causes the problem. Identifying all of these drainage problems early on, is one of the best ways to prevent serious structural damage in the future. If you have noticed any signs of drainage issues, called us for a detailed house inspection today.